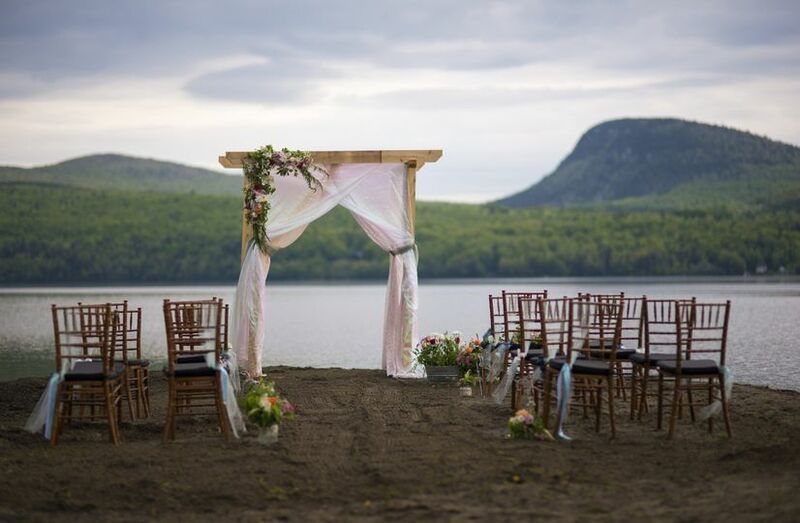 Willoughby Haven is a romantic and secluded wedding venue in Westmore, Vermont. 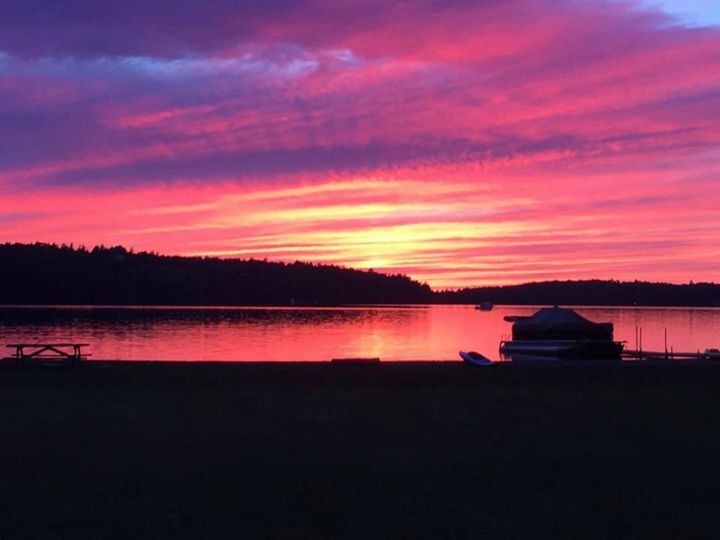 Our private 4-acre property has a 400-foot private beach and the lake and mountain views are truly spectacular. With stunning lake and mountain views, you can get married on the beach (we have enough space on our private 400-foot beach to have 150 guests with their feet in the sand) or you can get married on our huge pristine lawn overlooking the lake and mountains (we can host up to a 250-person wedding). 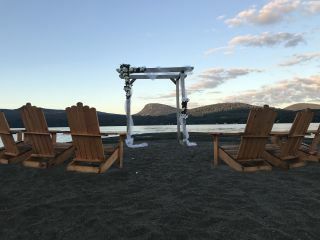 Jet skis and wave runners are not allowed on the lake and there are few boats so you won’t have to worry about noise or distractions during your ceremony. Plus, the water is only three feet deep for 100 yards off the beach so boats can't come within 100 yards of our private beach. 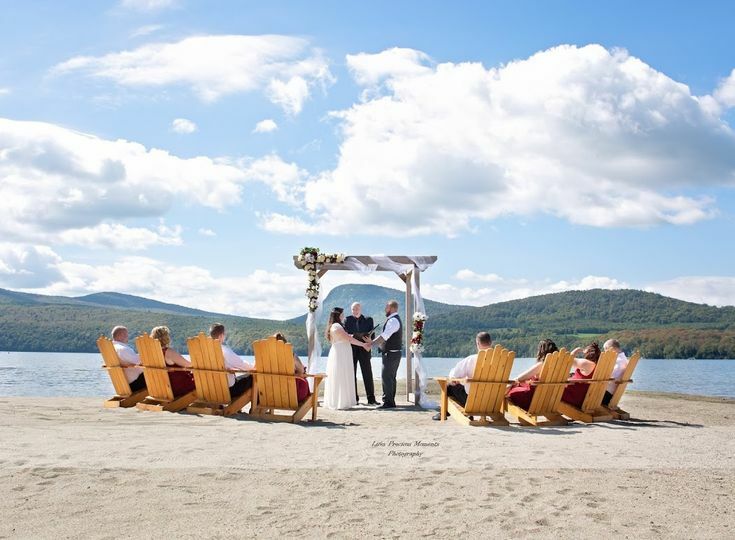 Our Wedding Packages include full usage of the entire 4-acre property including the seven 2-bedroom cabins that sleep 25-35 people plus use of the kayaks, canoes, paddle boards, etc. These fees do not include the tent (we provide tent estimates below and they are modest). We have preferred caterers but you are free to use your own. Plus, you can bring your own alcohol. 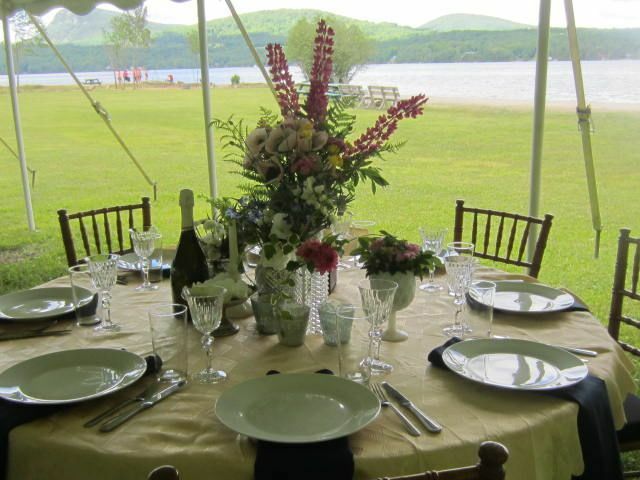 The flexibility of catering and being able to supply your own alcohol can save you money on your rehearsal dinner (you can even do a cookout on the beach using our picnic tables) and can save you money on your wedding ceremony. 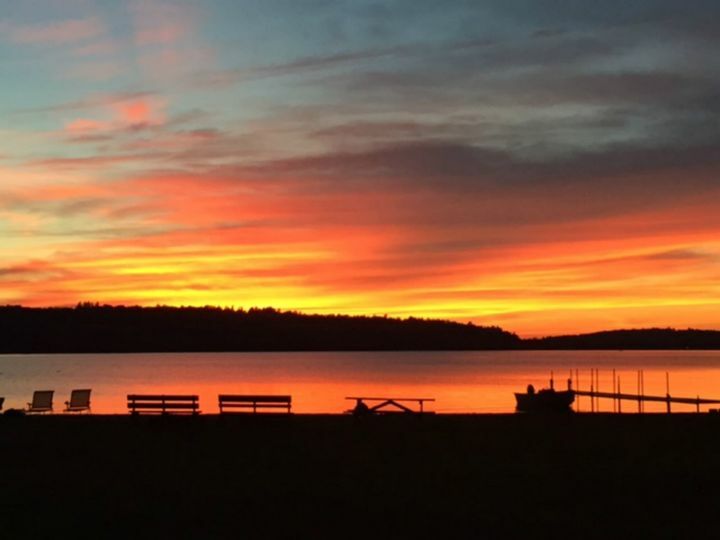 Willoughby Haven has six charming two-bedroom cabins and one game-room cabin that can be used by the groom and groomsmen pre-wedding. 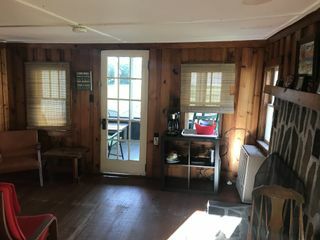 Each two-bedroom cabin has one queen bed in one bedroom, two single beds in the other bedroom and a full kitchen (new refrigerator, new stove, dishes, pots, pans, griddle, toaster and a coffee maker) and a full bathroom with a new shower. Each cabin also has a new picnic table, new Adirondack chairs and a new charcoal grill. Plus there is a lakeside fire pit (we supply the wood) for relaxing while overlooking the lake, mountains and stars. 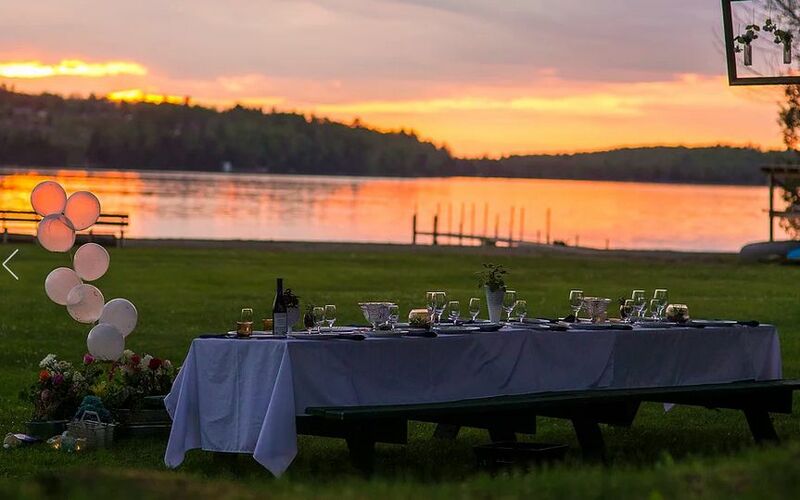 All guests that stay on the property have full access to our kayaks, canoes, paddle boards, horse shoes, basketball, corn hole and every other imaginable lawn game to make your wedding one of the most fun and memorable experiences imaginable. We keep the beach meticulously clean. The Fall Foliage views are spectacular! The lawn is large enough for a 250 person wedding. View from one of the cabin&apos;s screened in porches. This is the view of the back of the cabins. This is the front of our of our charming cabins. Here is the back of one of our cabins. Each kitchen has a new refrigerator and new stove/oven. Plus we put in all new showers. 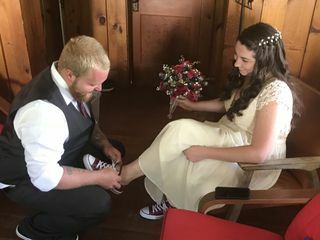 The game room is an ideal spot for the groom and groomsmen to get ready. You can enjoy multiple days relaxing on our 400-foot private beach. There is tons of space on the large lawn for every game imaginable. The boat rack and lifejackets are right next to lake. You have access to our kayaks and canoes. 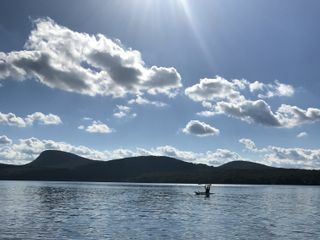 Enjoy kayaking with your family and friends. Willoughby Haven is a magical place! We rented the property for five days and had a small intimate wedding with close family. 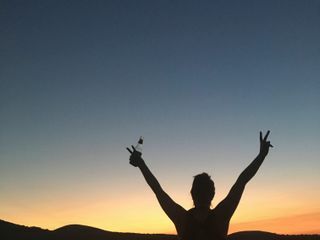 The views are stunning, the cabins are adorable and Jonathan and his team are amazing. They helped me with anything I needed and made sure everything was how I wanted it! Ami helped decorate the arch and she did an amazing job! She went above and beyond to say the least! 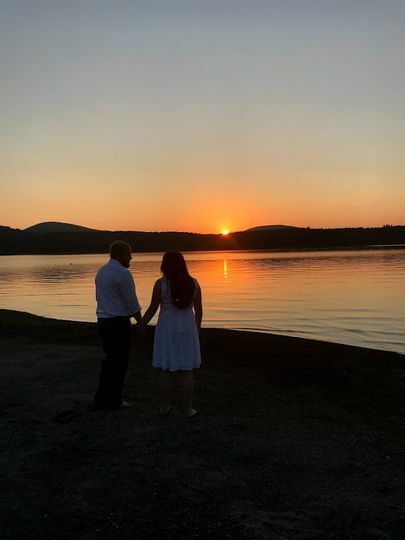 I couldn’t have asked for a better place to get married! The property has kayaks available, games, fire pits, grills, and plenty of seating - everything you need is there! 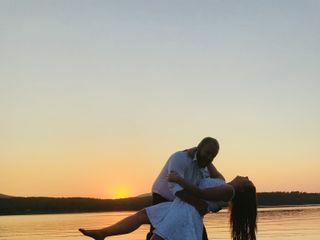 I highly recommended Willoughby Haven to anyone looking for a magical getaway for their wedding!